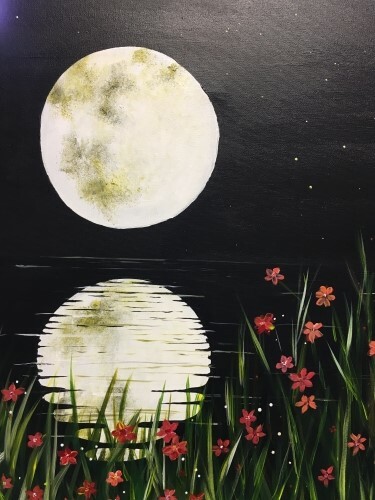 Join us for an exciting PaintNite fundraiser to benefit Mobility Training & Independent Living Program, Inc.
MTILP is a non-profit dedicated to improving the lives of adults with disabilities. Help us continue to do our great work by purchasing a ticket to PaintNite! Thank you for your support! Tickets are $45, and include all materials. Register here. This is what we'll be painting! "Midnight Reflection"